It is the time, friends. Yes. You have sensed it. It has called to you, distant, across the water. The Alfa Romeo 159. Look at its fine proportions. A purpose defined and clearly communicated. 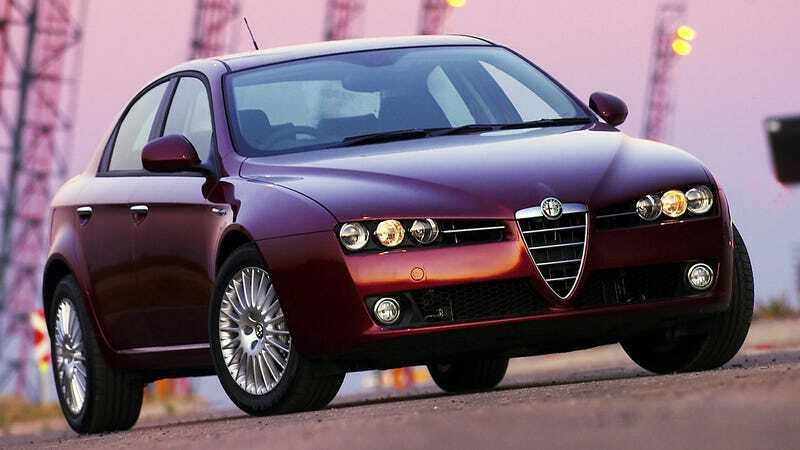 We never got the Alfa Romeo 159 here in America. Alfa Romeo denied it to us. Alfa Romeo withheld it. It knew that we were not prepared to accept it. Maybe it was not the most powerful car. Maybe it was not the most luxurious. Maybe it did not have the headline-grabbing stats that helped justify to us the new rear-wheel-drive, 505-horsepower Giulia Quadrifoglio. But gaze upon this 159. Does it not clear away the fog that clouds your mind? Is it not a guiding light? Does the trim line up between the door and the dash in this official press photo? Does that matter? Look at how the center dash not only has sets of gauges, but gauges inset deep and pointed towards the driver. This is a healing force. This is a sensation of possibility. This is a constant positivity on your thoughtscape. Here&apos;s A Picture Of A Saab, Are You Happy Now?